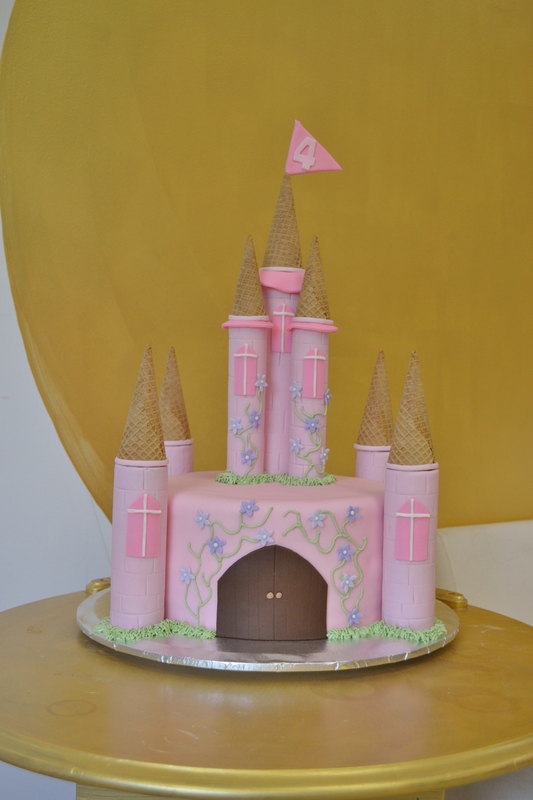 For this cake, the only parameters that the client gave me was that her daughter was having a princess and knights themed party. We discussed a few size options, and she decided to go with a single 10 inch cake which provides a good number of servings but is a bit more economical than a tiered cake. Based on the theme of the party, I created a castle cake with fondant accents. Usually, I prefer for everything on my cakes to be edible, but in order to get the height and look that I wanted, I relented and used wrapping paper tubes covered in fondant for the towers.